Dino was kind enough to pick us up right at the Naples Airport, and greeted us with a great big hug! Or rather, I greeted him with a great big hug. 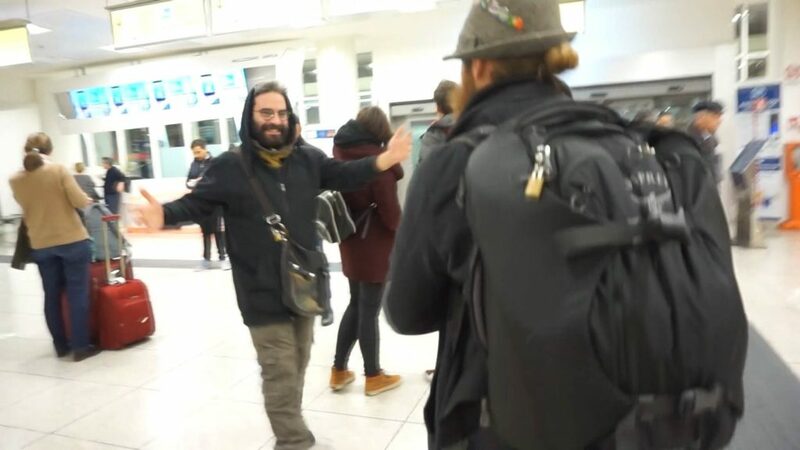 It may have been uncomfortable for him, who knows (Italians don’t hug as often as Americans do), but I was so excited and happy to see him again. With that, we headed back to his beautiful home in Torello where we were treated to good pizza, great wine, and the best company. Dino and Fam had not met Aubre before, and we had not had the pleasure of meeting Dino and Grazia’s son, William, who is now 8 months old (4 days younger than my nephew, Emmet). It was a joyous meeting all around! While we were here to complete a project for Dino (putting together a local travel guide for his Airbnb guests), Dino insisted that we take our first day to ourselves. 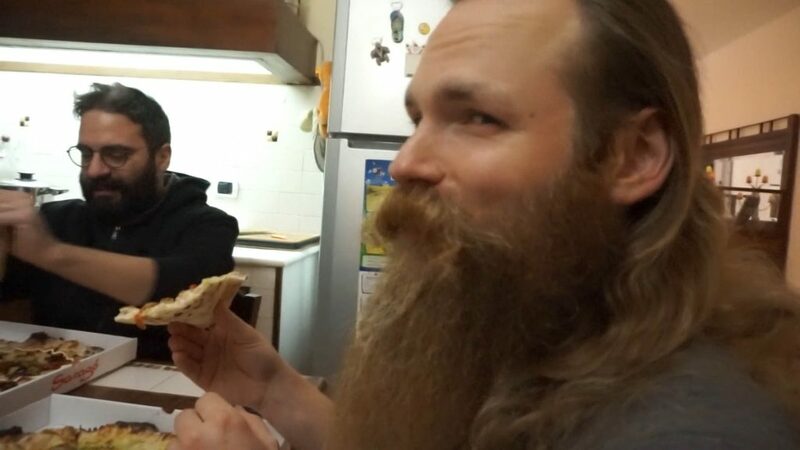 We relaxed, unpacked, dined like kings (and queens), and slept peacefully, completely unaware how the following day would drastrically alter the course of our month in Italy. The day began normal enough (with the world’s best coffee and wonderful company), however it didn’t progress normal enough, not for my taste anyway. While chopping some wood, I somehow accidentally chopped a hole in my foot. While the full explanation requires visual re-enactments combined with a comprehensive understanding of both my lack of experience in this activity, and the lack of common sense exercised on my behalf while handling a deadly weapon. 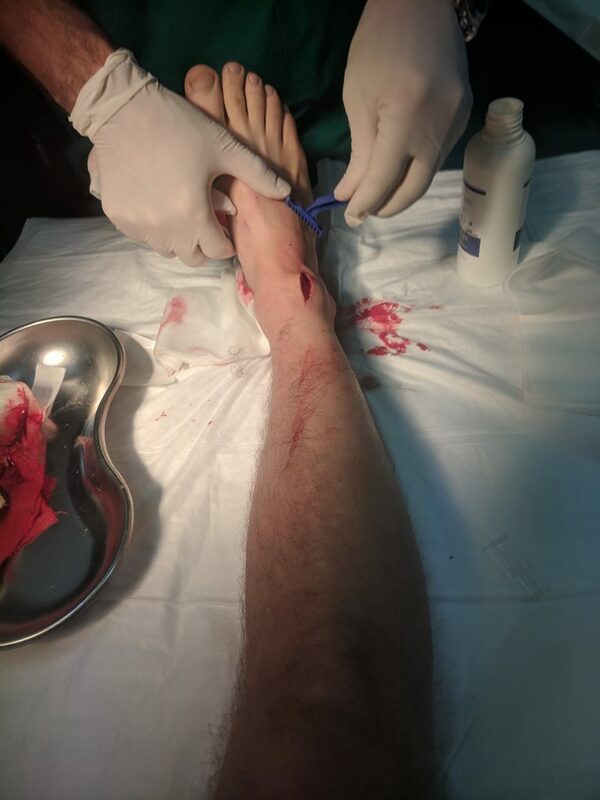 Anyway, the next thing I know, the wood goes flying (away) and the axe continues straight down and slams right into my foot (to be precise: the area right where the top of the foot connects to the leg). Despite the immediate pain, it wasn’t immediately clear to me just what had happened. Hopping up and down on my good foot, my first thought was simply that it felt like I had bashed my lower shin with a hammer. Delayed reason carried to the foreground of my mind the fact that what had just slammed into my leg/foot at high velocity was the sharp edge of an axe. A slow realization dreadfully dawned upon me: the pain I was feeling was not a smash, it was a slash. 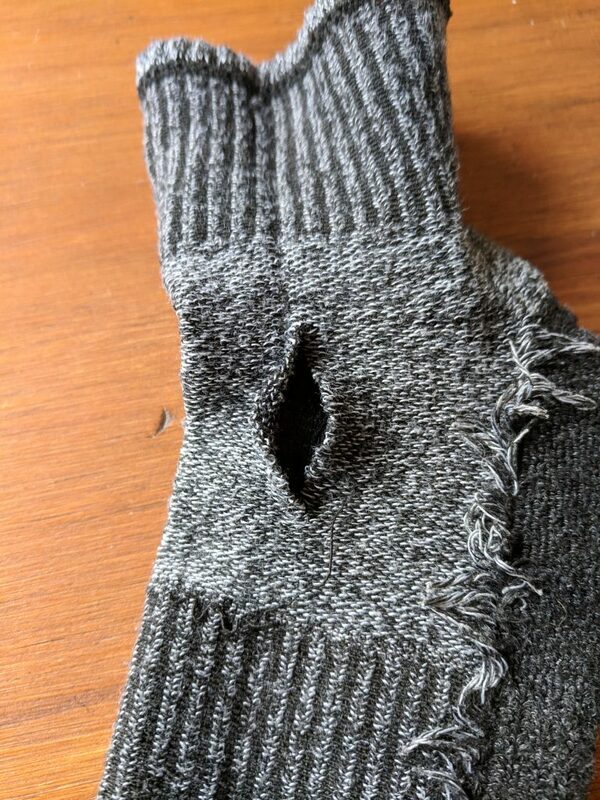 I looked at my pants, and saw a large tear right through them. Lifting them, I looked at my shoe and saw a clear cut through its tongue. I pulled back the tongue and saw a blood soaked sock. I’m going to toot my own horn here a little bit. I think I handled the situation pretty well. While I don’t remember Dino’s exact reaction, but I got the feeling he was rather alarmed. Trying to keep everybody calm (myself included), I smacked a smile on my face as I asked Dino if he had/could grab some bandages or a med kit as I began hopping toward the house. As I hopped past Aubre, she looked me up and down, shook her head, and said, “That didn’t take long.” Aubre wants me to say something about how she didn’t know what had really happened, just that I had hurt myself (a relatively common occurrence), but I’d prefer to let you think she didn’t care. Finally reaching the stairs to a lower bathroom accessible from outside the house, I made my way to the toilet, sat down, and carefully removed my blood soaked shoe and sock. 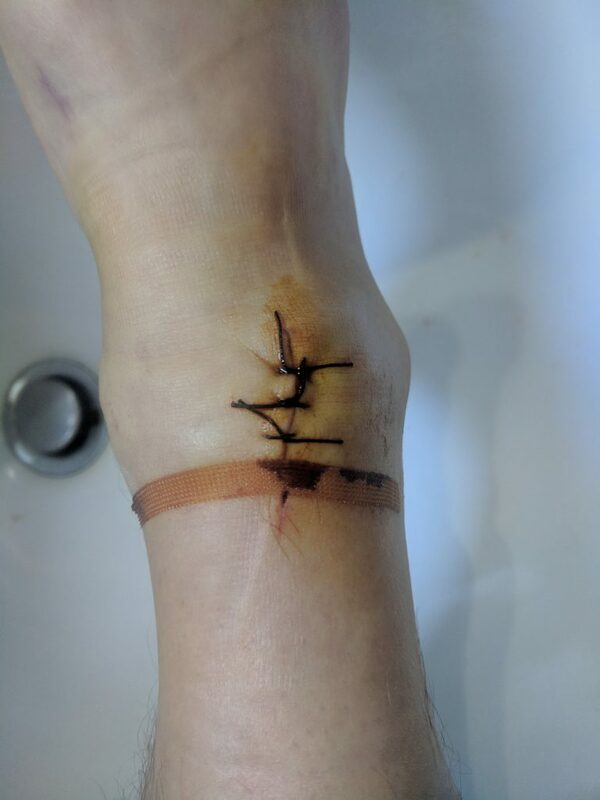 Actually seeing the new, gaping hole in my foot caught me a bit off guard, but seeing that it wasn’t gushing blood like an anime character helped me remain calm. I swung my foot over the bidet and washed it as best I could, but after seeing the extent of the cut I reluctantly agreed that a hospital visit was in order. We mocked up a bandage, and off we drove. AND SO! Without further ado, here’s what you all really came to see. An idiot with an axe! 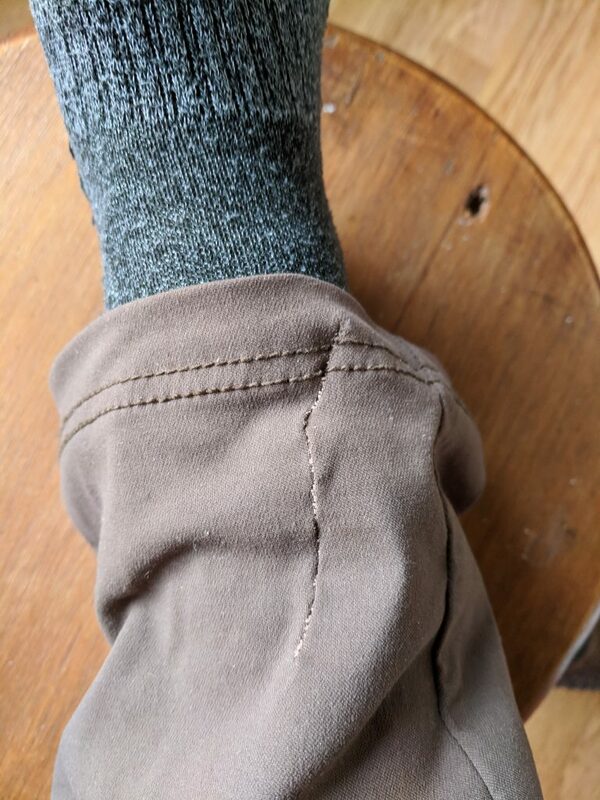 Here’s the cut it made in my pants (already stitched up by Aubre). I only wish that my own cut had been stitched up so nicely. 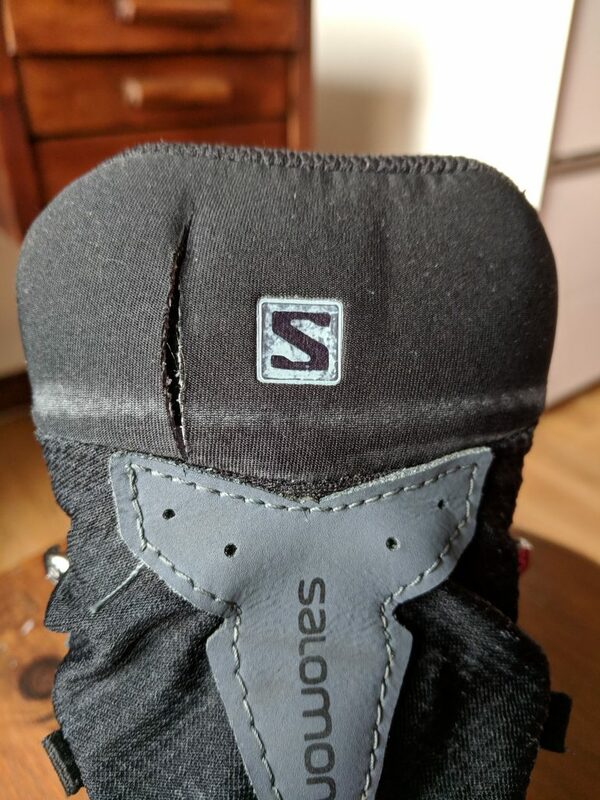 Here’s the cut it made through the tongue of my shoe. This padding probably saved me from an even worse wound. Lastly, my sock (no longer blood stained). As you can see, with each layer the axe chopped through the cut got smaller. If I had been wearing my flip flops instead of my socks and shoes, I’m sure I would have had a much worse wound. Finally, what you really want to see, what you’ve been wanting to see ever since you knew it was there to see: Alex’s new foot hole. How far we got before I thought to take a picture. Here you can see the nurse shaving the area around the wound. He began to stitch the wound closed – a process I watched with great interest. This was significantly more painful than actually stabbing the axe into my foot had been. His hands were shaking so much while he was “stitching” me up that after the first 2 stitches the nurse took over for him. After a third stitch, the “doctor” advised the nurse that an adhesive strip would finish the job. 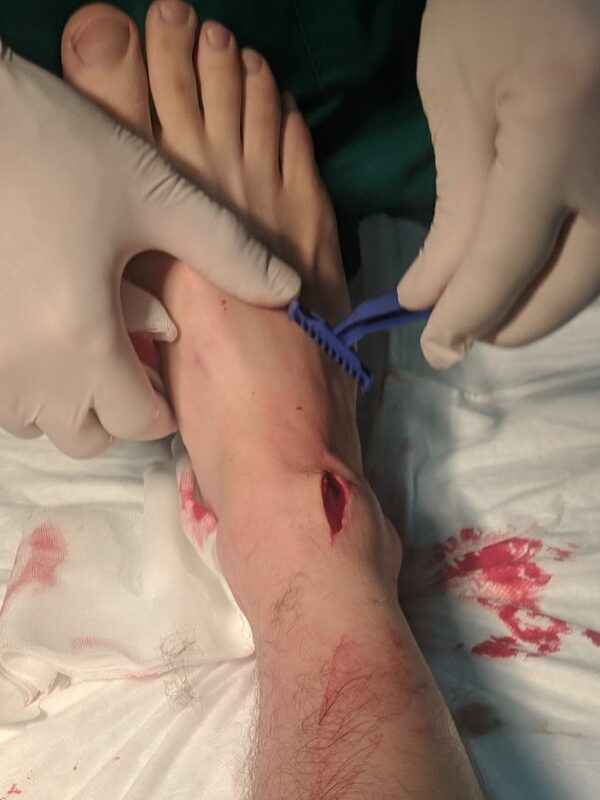 They wrapped up the foot, and I was sent home with instructions to return in 8 days to have the stitches removed, not walk on it in the meantime, take antibacterial pills for 4 days, and paracetamol (Tylenol) if I was in pain. While I didn’t hold a lot of faith in the medical expertise of the “doctor” (Dino was telling me that the “doctor” was bragging about being an investor in a big oil company (email scam)), I also didn’t get the big medical bill I was afraid of. 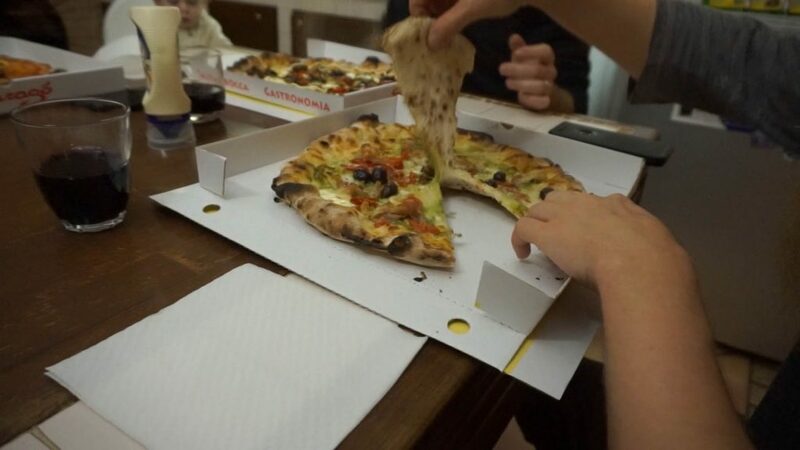 Apparently healthcare in Italy is free. So, that’s a plus! While it was nice to be patched up, the fact that it would be some time before I could walk was a real downer, especially considering that the whole project we needed to do for Dino (go out to local sites, experience their awesomeness, and write a local travel guide based on our experiences) required a lot of walking. Now that you know the story of how it happened, I won’t bore you with the healing process. Let’s just sum it up as being uncomfortable, painful, and way too long! Did I mention painful? 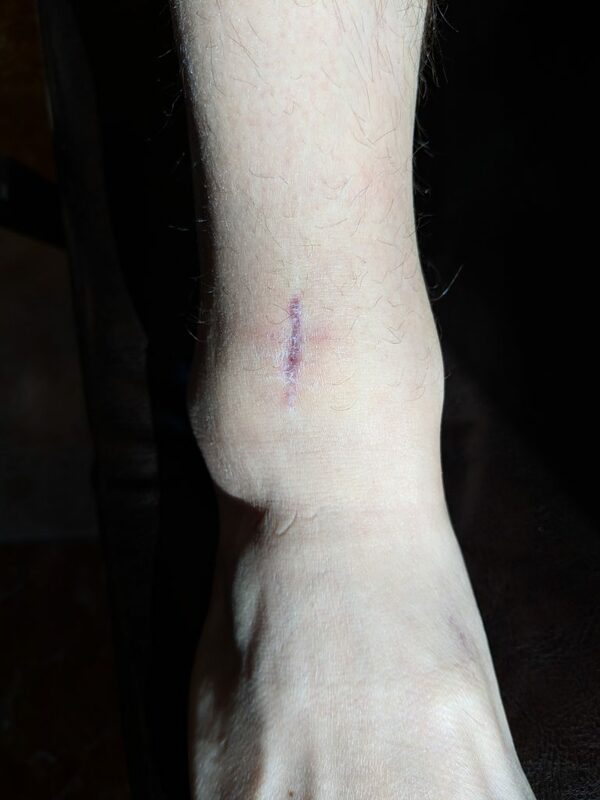 As an update, here’s the scar in as of today (01/15/2019), taken 35 days after incident. The whole situation was all rather difficult for me to deal with. I felt useless around the house. I felt guilty about not being able to work on the project I was supposed to be doing. Dino clearly felt guilty about what had happened, despite the whole thing being my own, clumsy fault. I felt guilty that Dino felt guilty. Altogether, it was a bit difficult to stay positive and cheerful. We all use our own methods for handling trying times – some are healthy, some are toxic, but the best are both. I prefer a good conversation with good tobacco in my pipe. So, if I’m going to be under ‘house arrest’ due to axe-in-foot disease, I can’t imagine a better home to be stuck in than the home of my favorite smoking companion, Dino! Many of my most treasured conversations have been with Dino during any of our numerous “smoking times”. Our conversations have never failed to clear my head, challenge my way of thinking, give me perspective, or simply make me laugh. 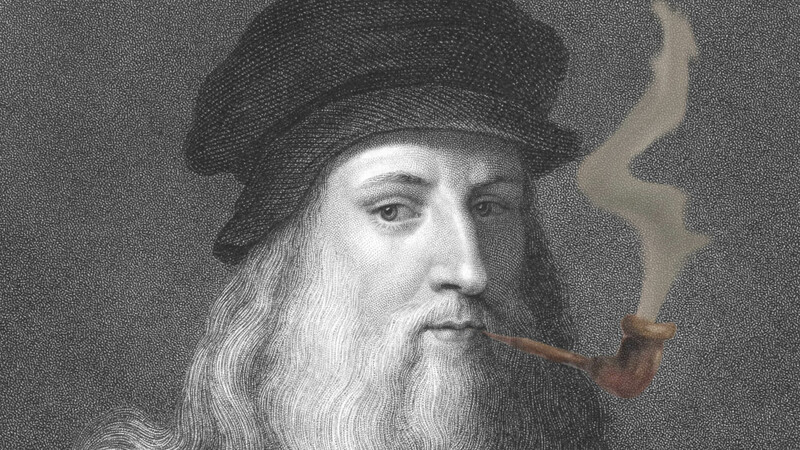 As if simply having Dino to smoke with and chat with wasn’t enough, Dino took it one step further (as he always does) by introducing me to Da Vinci! 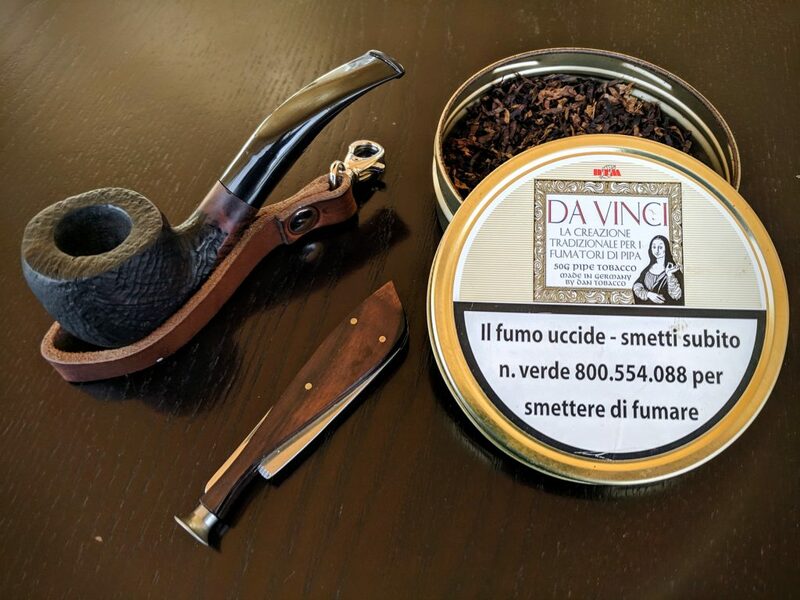 In addition to being the most famous polymath of the Italian Renaissance, Da Vinci is the most beautiful pipe tobacco I’ve ever met. I won’t bore you by saying that Da Vinci is a delightful blend of bright Virginia grades combined with sweet Black Cavendish, but I insist on mentioning that it is matured under addition of full-bodied red Chianti wines. Just… Wow! With Dino and Da Vinci, my mind was at ease and I was content. ← 6 Weeks Camping in Portugal: the Good, the Bad, and the Bugly!